Mom has held your hand through the good times and the bad. Express your love for her. There's nothing quite like a mother's love. 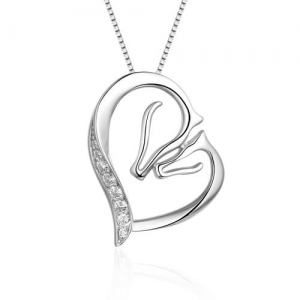 Celebrate that special bond between mother and baby with this Mother horse and baby horse pendant. Fashioned in 925 sterling silver, this design features a mother horse Head to head her baby, symbolizing mother's deep love for kids. A line of shimmering Cubic Zirconia adorns the other. 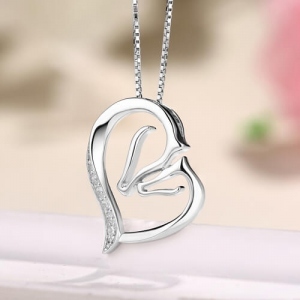 Sparkling of Cubic Zirconia and a bright polished shine, this pendant is a can be bought as a best gift for your dear mother. Tell your mother how special she is. Order now created a super surprise in mother's day!